Have you been to some of the beautiful spots in the Philippines? Why not make plan this holiday season from a long breaks, better start making your itineraries now to make the most of every moment and affordable one! Whether you love surfing or simply beach-bumming, Siargao is the island for you. Catch those budget-airline promos to snag the best tix to this tropical paradise! If you wish to travel by boat from Surigao City to Siargao, the ferry boat costs only up to P350. Log on to booking websites for the best deals for hotels and apartments. Aside from surfing, unwind in the pristine rock pools, waterfalls, and check outthe burgeoning restaurant scene! The Summer Capital of the Philippines is a classic destination for travelers during Christmas. Aside from its extra cool weather, Baguio offers sights and sounds perfect for the Holidays with its popular Christmas Village. 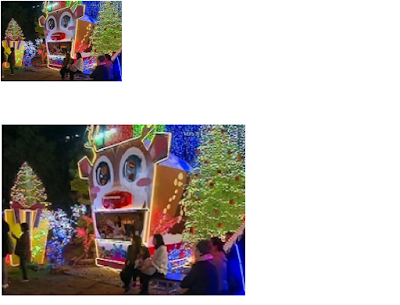 Run by the Baguio Country Club, visitors can experience their own White Christmas at the Village. With the theme Space Galaxy, the place will definitely be a unique experience for visitors! Drive north and experience history on foot as you roam around the beautiful historical city of Vigan. 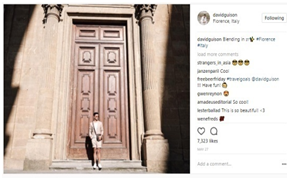 Loved for its picturesque scenes, it’s a favorite among tourists who want Instagram-worthy photos. Get a dose of our colonial past and scrumptious Vigan delicacies such as empanada and longganisa by literally just walking on the streets! This is one of my favorite shoes that I bring everytime I travel. 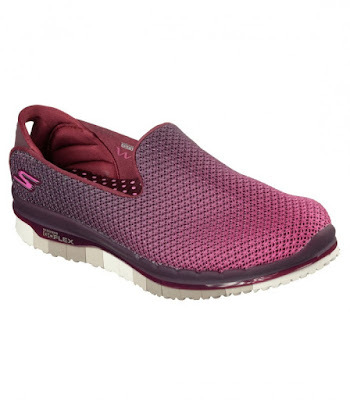 To make your trip around the cobblestoned Calle Crisologo chic and comfy, slip on the Skechers Go Flex. Experience high-rebound cushioning and comfort its Goga Mat® Technology insole and be flexible withunique segmented outsoles, in fresh colors! The Go Flex from Skechers is the shoe to bring when you want to put a playful spin to your travel OOTD. If you opt to stay in the city, hit up the seasonal events. Holiday night markets and food crawls will be popping up everywhere, making it a natural stoppost-clubbing or bar sessions. Also, Christmas parties will be happening left and right, so make sure you land yourself on the best-dressed list no matter which get-together you attend. 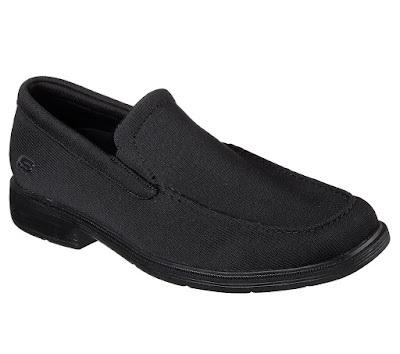 Complete your Holiday look with the dapper and incredibly comfortable Skechers DressKnit shoes. Made to impress with you with both its looks and comfort, the DressKnit collection showcases a lightweight and breathable knit upper made extra comfy with its Air-Cooled Memory Foam-infused insole. So whether you're off to a family reunion or a great night out with friends, be sure to dance the night away with your comfiest Skechers DressKnit shoes! Visit Skechers stores located at Glorietta 2, Trinoma, SM North Edsa The Annex, Ayala Malls Cloverleaf, Gateway Mall, Robinsons Galleria, Ayala Malls The 30th, SM East Ortigas, Market! Market!, SM Mall of Asia, Robinsons Place Manila, Lucky Chinatown, Alabang Town Center, Festival Mall, SM Southmall, SM Bacoor, SM Dasmarinas, Robinsons General Trias, SM Lipa, Fairview Terraces, SM Fairview, SM Pampanga, Marquee Mall, SM Clark, Vista Mall Bataan, SM Cabanatuan, Robinsons Place Ilocos, Ayala Malls Legazpi, Ayala Center Cebu, SM City Cebu, SM Seaside Cebu, SM Bacolod, SM Iloilo, SM Davao, Abreeza Mall, Gaisano Mall of Davao, Limketkai Mall and Centrio Mall. Winner of the MyAXA Contact Info Update Raffle. Co (rightmost) and a companion flew to China, watched the NBA China Games 2017 live in Shanghai, and enjoyed a three-day-two-night hotel accommodation at the Intercontinental Shanghai for free. They also received Charter Ping An Smart Traveller travel insurance with personal accident coverage up to P5 million, medical expense coverage up to P3.5 million, and 24/7 emergency helpline assistance—all because he updated his contact information through the MyAXA App. Top global insurance brand AXA inspires its customers to “live the life they choose” by having a game plan—one that would enable them to prepare for life’s unexpected moments. On hand to award the exciting prizes to Mr. Co were AXA Philippines chief customer officer Amor Balagtas (center) and director of inforce management Stephanie Balois-Guerrero (leftmost). Are you planning now your holiday vacation? Have you finalize your next destination? It’s better to make your list of things to bring for a comfy yet stylist vacay! 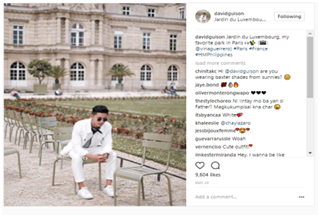 Here are some suggestions from seasoned travellers and bloggers, David Guison and Laureen Uy for what bring should you wish to travel and if you want to be fashionable even when you’re living out of a suitcase! Join the Skechers GORUN.PH November Velocity race and start your fitness journey! Did you miss the September’s virtual race? Great news, Skechers GORUN.PH is back to make the rest of your 2K17 fitness goals count! Start running anytime, anywhere in this unique virtual event where you can join thousands of runners across the country. 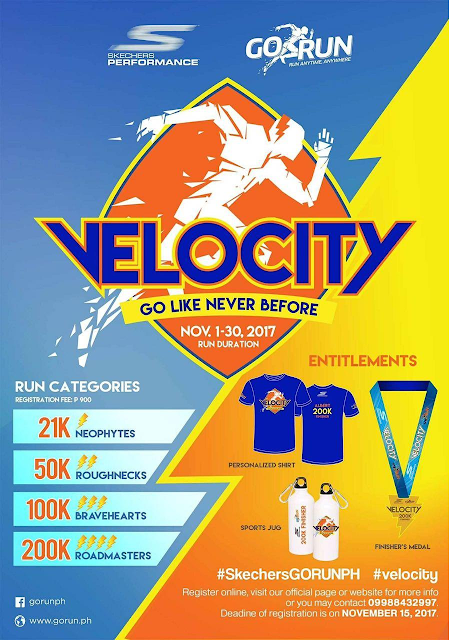 Join runners across the country the Velocity race from November 1 -30! For only P900, choose your race distance from 21k, 50k, 100k, or 200k and get a personalized Finisher's Shirt, Medal, and a Sports Jug. Plus get a chance to win a pair of Skechers GO RUN RIDE 6! Just follow our social media accounts or check our website for details so don’t miss it! Update your profile and race preferences, then upload your deposit slip along with it. Please write your name on the deposit slip to ensure validity, and give us 24 hours to verify your account. WHAT RUNNING APPLICATIONS SHOULD I USE FOR LOGGING MY RUN? We highly encourage you to use the Strava App and join Go Run PH Running Club. This will allow us to monitor your progress. Other applications you may use are Run Keeper, Nike+ Run Club, Samsung Health App and other applications that is convenient to you. HOW DO I SUBMIT MY DAILY/WEEKLY RUN PROOF? You need to register with an email and password, and you can submit your run sessions anytime by logging in on our web app. WHEN CAN I RECEIVE MY FINISHER SHIRT AFTER COMPLETING THE CHALLENGE? 3-4 days after we post the race results, your finisher’s shirt shall be delivered to your given address. Our very own Philippine candidate Karen Ibasco is the new Miss Earth as she won the judges, the crowd over and sealed the deal during the question and answer portion where she inspired us by saying that “as a global community, our micro efforts will have a macro effect to help save our home”. 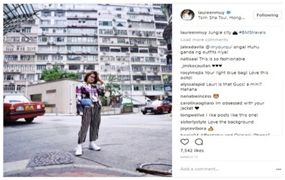 Since the beginning of her Miss Philippines Earth journey, leading global outdoor footwear brand Merrell has been with Miss Karen Ibasco for her special campaign on Urban Advocacies. 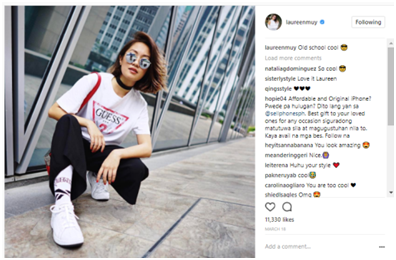 Miss Earth 2017 Karen Ibasco showcasing comfort and style with the 1SIX8 Heathered AC+ while she shares her thoughts on how small thoughtful acts can effect a big change in the environment and on us, whether living in or outside of the city. To make walking more enjoyable and comfortable, try out the latest lifestyle collection from Merrell which is designed for all your urban adventures. 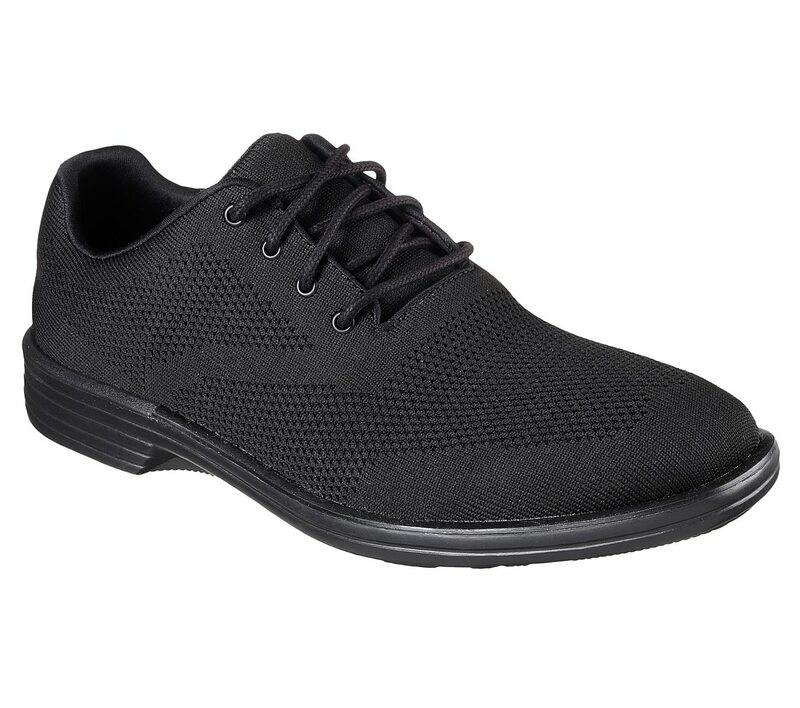 The ISIX8 AC+ features innovative materials and premium fabrics with open-air mesh for breathability, a FIT.ECO blended EVA contoured foot bed with organic odor control, and an EVA midsole for stability and comfort. This 1SIX8 line is made more comfy with the addition of the Air Cushion + technology that secures heel-to-toe comfort for effortless walking around town! Ladies can choose a pair of the 1SIX8 AC+ in various colors and styles such as laces, moccasins, and Mary Janes! Miss Earth Nigeria 2017 Eucharia Akani shares her advocacy on education and awareness for the eradication and safe management of active gas flows in her community. The 19 year-­old Theatre Arts Student is also working hard in partnering with the World Bank to be able to help put a stop for such dangerous gas flows by 2030. A registered nurse by profession, Miss Earth Canada 2017 Jacqueline Marsh, is no stranger to the need to be active in preserving life. As a Miss Earth candidate, Marsh already has her advocacy on water consumption as top priority to focus on during her reign. “I live next to the largest freshwater lake in the world so it’s an issue that’s close to my heart. We need to preserve this resource for the future generations” adds Marsh. Her first steps?—Educating people starting from her community and eventually people outside her town and making them aware of the importance and ways of water consumption and conservation. For Miss Earth Colombia 2017 Juliana Franco, reducing consumption and waste are essential in lessening our negative impact to nature. She envisions an emission-­‐less (or free) world and to keep this advocacy rolling, she is set on spreading awareness and informing people to be mindful of whatever they buy and consume and the process it undergoes before it hits the market leaves pollution and damage to the planet. Ultimately, her goal is to inspire people change their habits little by little so we can all contribute for a green environment. Reducing carbon footprint can easily be done at the comfort of your own home. Take it from Miss Earth England 2017 Charloce Brooke, a vegan and animal-­‐lover, who strongly advocates reducing footprints by being conscious of what we eat. For her, most of the food we eat, especially meat and dairy, undergoes processes that leave a heavy impact to our environment. She hopes to encourage more people to try a greener lifestyle and to empower everyone that no matter where they are, there will always be little and big ways to care for our surroundings. Mark the date November 11, 2017 the JACK TV brings back the biggest Music, Arts & Dance Festival: MADFest 2017! Juan Sound. One Playground. A Celebration of Breakthrough Filipino Talents. Enjoy 12 hours of non-stop music & funhappening at the Circuit Makati Events Grounds from 3 PM – 3 AM. For FREE tickets, check out the Jack TV MADFest giveaway on facebook.com/solar.jacktv! Here are the local vocals to watch for in this awesome event is Parokya Ni Edgar, Gab and John from Urbandub, Mayonnaise, Sandwich, Hale, Imago, Kjwan, Gracenote, Hilera, SUD, Ben & Ben, The Ransom Collective, Tanya Markova, Veronica and I, IV of Spades, Ang Bandang Shirley, Pow Chavez, BNK, and more. DJ Toons, DJ Katsy Lee, MC Ronthugare set to fire up the party come midnight, plus performances by Legit Dance CrewandThe Alliance.